3d-version of the classic video-game Pong. Is there a better alternative to POING? Is POING really the best app in Sports category? Will POING work good on macOS 10.13.4? POING is a colorful 3d-version of the classic video-game "Pong". Choose from two game modes ("POING" and "Crazy POING"), eight different characters, four playing fields and play Championships and Tournaments, win cups and become the ultimate "POING"-champ. 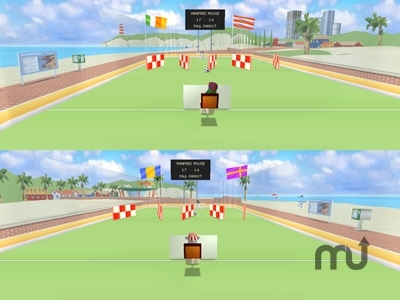 Play against the computer or in two player mode ("split-screen"). Realistic physics simulation, five different player strengths, four ballspeeds and three camera views make this a fun game to play. New game mode "Crazy POING"
Mac OS X 10.2, G4/600MHz, 256 MB RAM, 16 MB VRAM. POING needs a rating. Be the first to rate this app and get the discussion started!